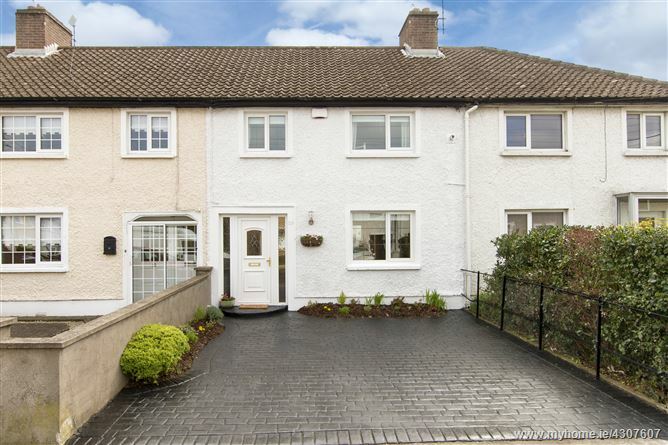 Mason Estates are proud to present, new to the market, 128 Brandon Road – a very impressive three-bedroom terraced family home, in turn key condition, with a sizeable modern attic conversion, in a quiet well matured family friendly residential area on one of the more sought-after roads in Drimnagh. 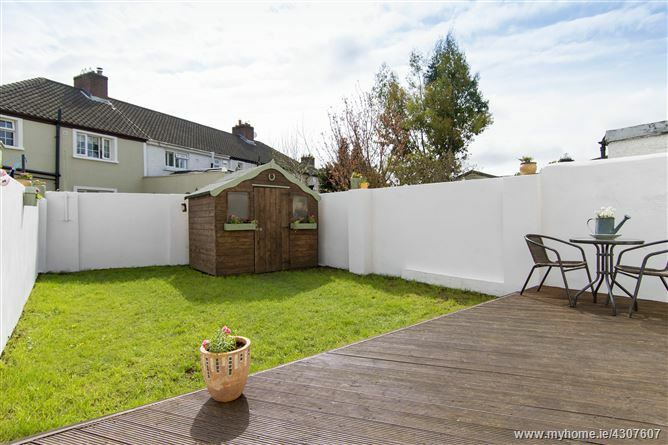 The property is within a short stroll of public transport (Luas and bus) while the Naas Road and M50 are all within easy reach, affording swift access to the City Centre and beyond. Crumlin Children's Hospital is also within close proximity as well as a choice of good primary and secondary schools. 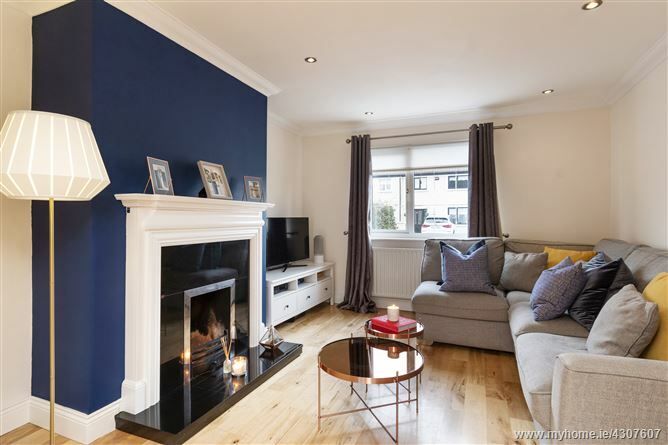 Presented in impeccable and stylish decorative order with a bright, warm interior and a great sense of space and light permeating throughout the property where every piece of space has been utilised to the maximum. 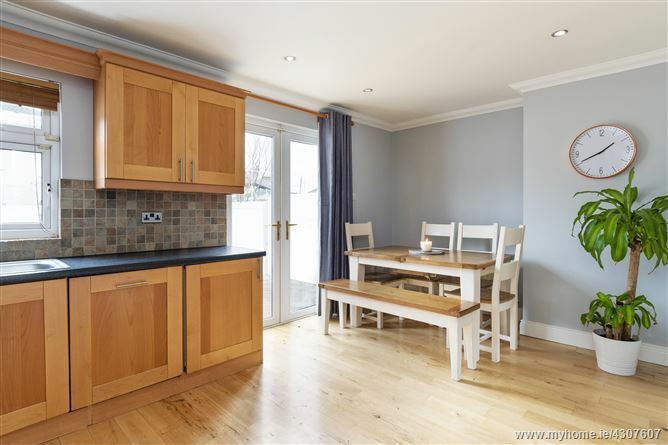 Completely refurbished, this wonderful home offers a bright and spacious living room and a modern open plan fully fitted kitchen which overlooks the rear garden. 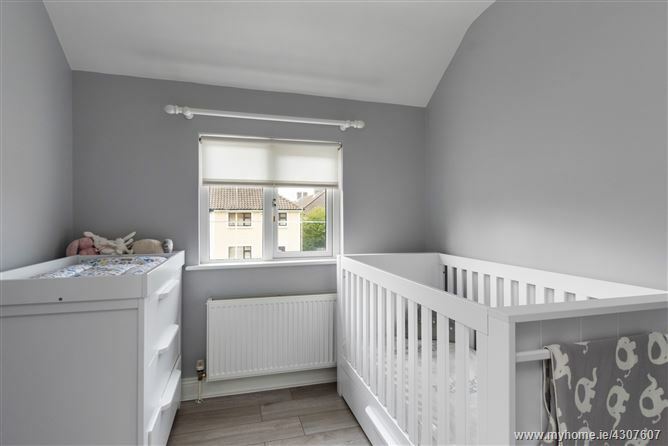 The upstairs comprises three bedrooms (2 double and 1 single) and a modern bathroom. 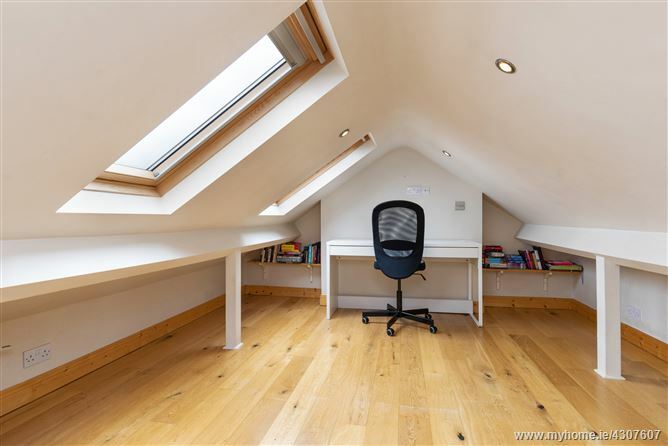 An added bonus is the attic conversion, finished to exacting standards with three velux windows, combining contemporary design and high quality finish. There is a paved driveway to the front with off-street parking for two cars and a lovely 36ft/11m sunny and private rear garden with decked area, perfect for “al fresco” dining. Total Floor Area: 97 sq.m (1043 sq.ft.) Approx. With under stairs storage and Indonesian hardwood maple flooring running throughout downstairs. With feature re-centered marble/timber surround fireplace. 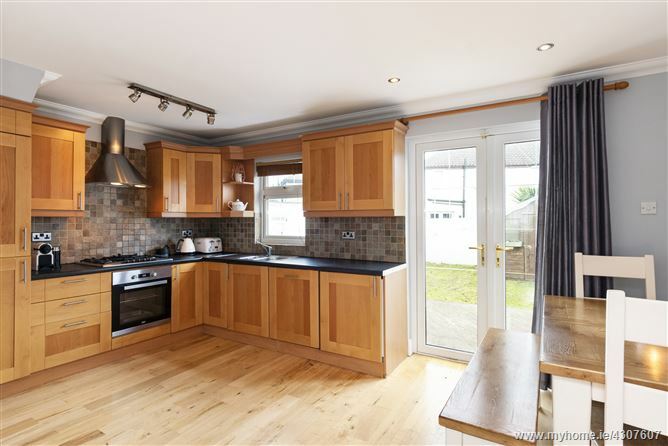 Lovely bright spacious modern fully fitted kitchen with range of wall and floor units, stainless steel extractor fan, integrated fridge/freezer, 5 ring stainless steel gas hob/electric oven, integrated dishwasher, double glazed French doors to rear garden. 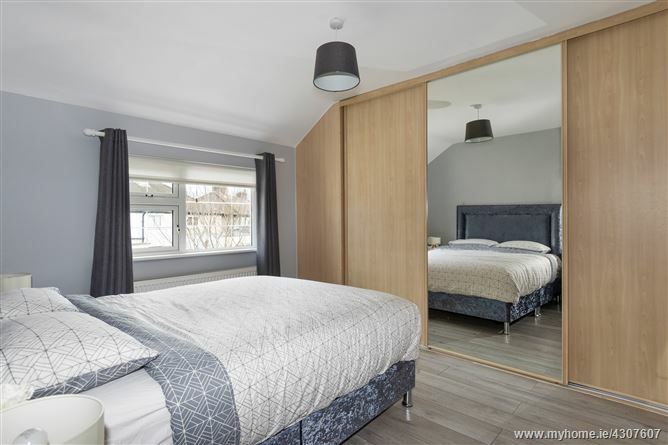 Double bedroom, located to the front, with modern fitted wardrobes and mirrored sliding door, built-in shelving unit and hot press. Semi-solid wood floor. 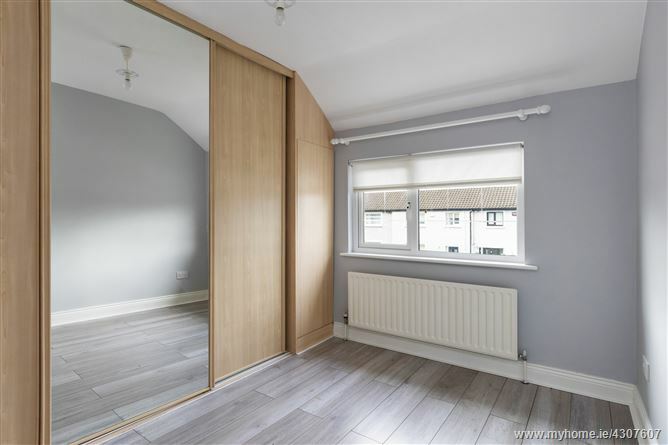 Double bedroom, located to the rear, with modern built-in wardrobe and mirrored sliding door. Semi-solid wood floor. Single bedroom located to the front. Semi-solid wood floor. 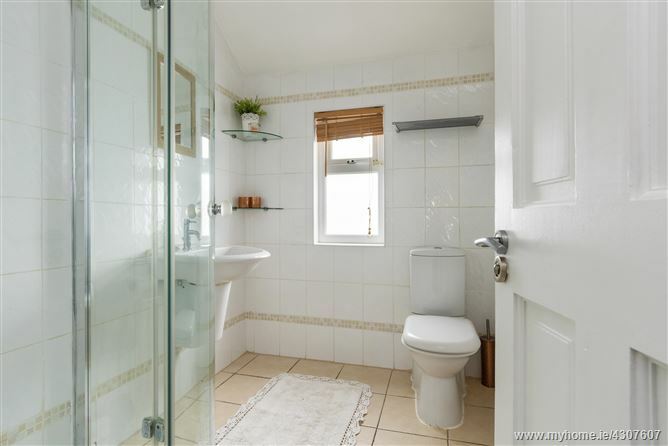 Modern fully tiled with large corner shower cubicle with glass shelving, w.c., wash-hand-basin. Finished to exacting standards with three velux windows which flood this substantial room with light. From Drimnagh Road turn into Errigal Road and take 2nd turn left into Brandon Road, continue straight and number 128 is on the right hand side. By Appointment with Mason Estates Terenure 01 490 9014.